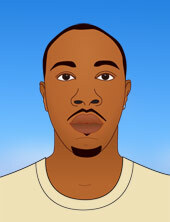 Amon-Ra, creator of this here site, is a graphic/web designer, presently residing in the Dirty South. This website was created, in part, from my love of music, hip hop, and compiling top 10 lists. I was raised in the 90's, during what some call the Golden Era of Hip Hop, when groups like Wu-Tang Clan, Outkast, 2Pac, and Notorious B.I.G. were topping the charts. Hip hop, which has in many ways mirrored and defined a culture, has always been a hot topic of discussion. From the booty-shaking days of The 2Live Crew, to Three6Mafia winning a Grammy. From street corners and smoke filled studios, to what is now a multi-billion dollar industry. And all along the way, people are always talking about who the best mc is, what the best album is, etc. So, after many disussions and light-hearted arguments, days & nights listening to hip hop music in clubs, house parties, strip clubs, etc. I’ve gathered my information and arranged it into various hip hop top 10 lists. Hopefully they will help inform, spark opinions, or fill some more space in your ipod. • Impact - How was the album was received? • Production - Beats are everything. • Lyrics - What is the artist talking albout? • Content - Besides the hits, how was the album? If you like what you see and would like to support us, we would greatly appreciate a donation. All proceeds go towards improving the website.